Man 38 yo, epigastric pain crisis on periodic treatment like gastritis but not response. 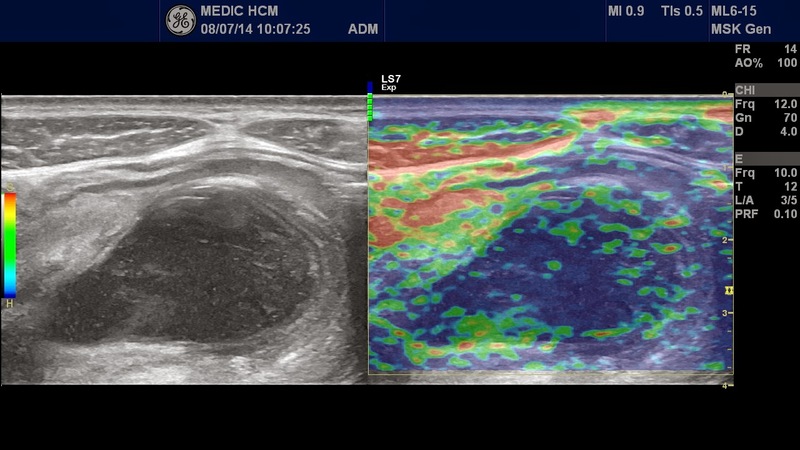 Ultrasound first in emergency at MEDIC detected one mass near gallbladder with multilayer cover as OINION SIGN, and a central cyst. 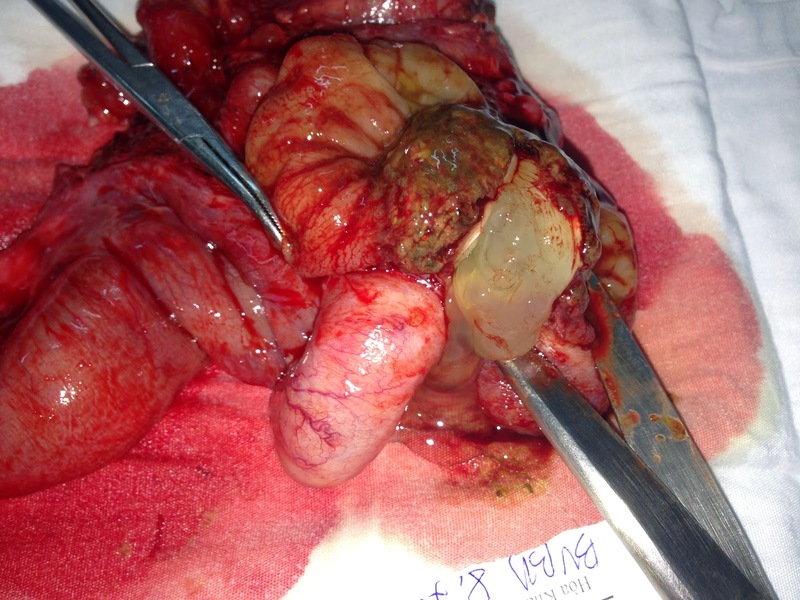 This mass was in transverse colon. 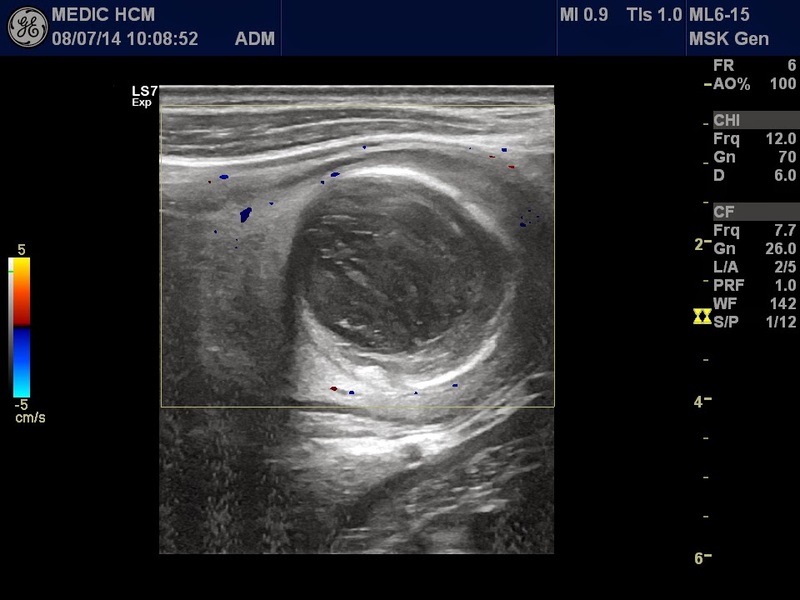 Sonologist suggested a colocolic intussusception (see 04 ultrasound images and video clip). 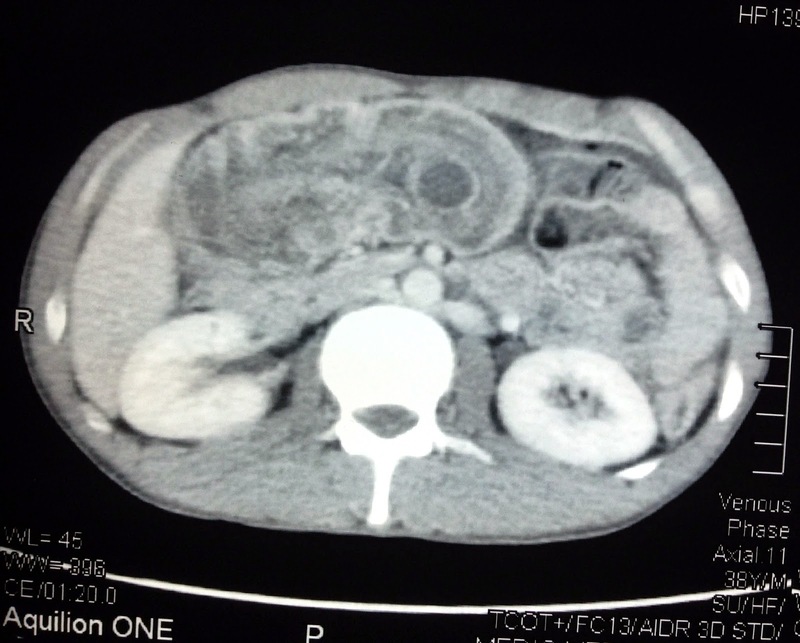 Do you have any idea about the cyst in an intussusception mass?. 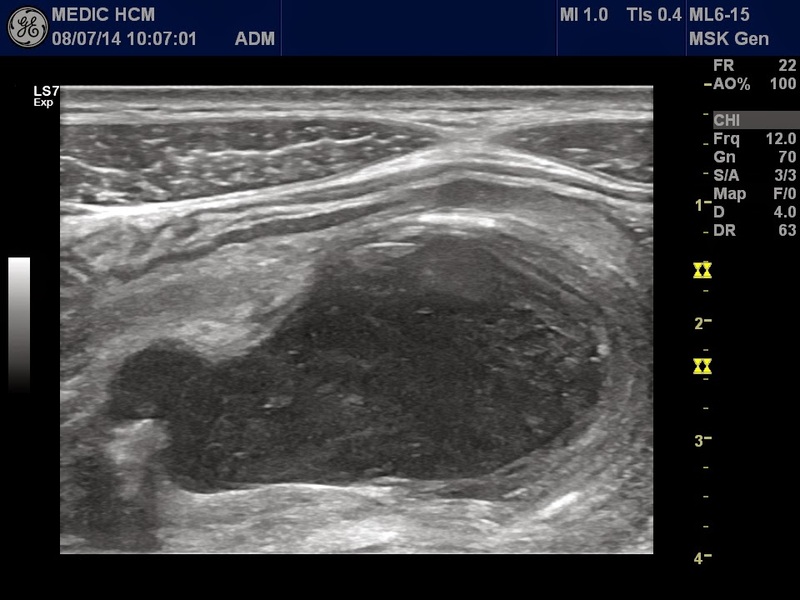 MSCT with CE showed this mass in transverse colon with cystic mass looked like appendicular mucocele. Emergency laparotomy performed right hemicolectomy, macroscopic specimen was appendicular mucocele [see photo].. 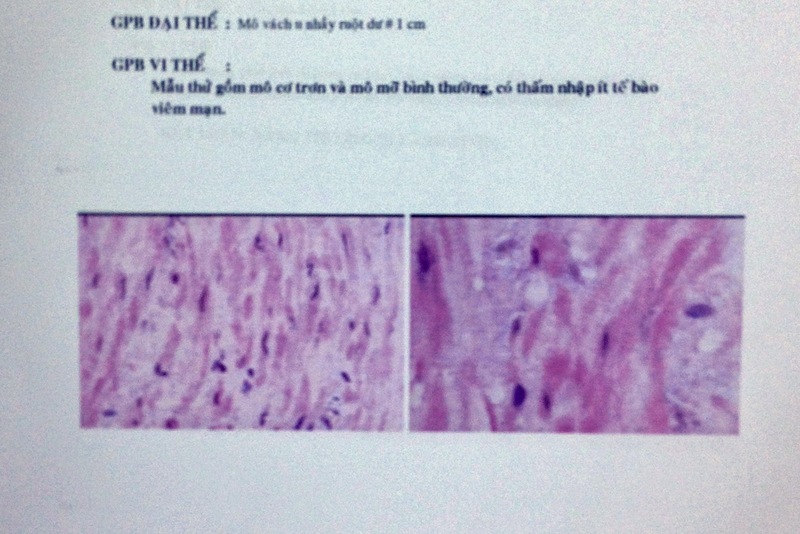 Microscopic report was mucocele appendicular due to fibrosis of appendix. REFERENCE: Case 181 Medic case.